Mira Mehta is an American born NCAA champion, a Harvard Business School alumna, and a child of immigrants. She's worked in the finance and public health sectors, and since 2014, she has been the Owner and CEO of Tomato Jos in Nigeria. This is all we know about Mira… until now. Below are a collection of questions gathered from various entities such as Tomato Jos’ social media outlets and Tomato Jos staff. Read on to find out exclusive details about Mira Mehta that will only ever be shared on this blog! If you could speak to somebody famous who would it be? How are you coping with the unequal opportunities in our contemporary business world? In some ways, the inequality works in my favor - I know that being white (or at least looking white) and American gives me privileges both in Nigeria and in the rest of the world. And in some ways, the inequality works against me. Many people in our area find it difficult to believe that a woman is running Tomato Jos. Externally, I try to take advantage of the stereotypes that benefit me so that I can advance the business, and internally, I try to promote a culture of equal opportunity at Tomato Jos. Which religion do you practice? I'm a Zoroastrian. It's an ancient religion that originated in Persia, and it is only passed down paternally. This means unless I marry a Zoroastrian man, my children will not be able to follow the same religion! Do you have a Nigerian boyfriend? I had a Nigerian boyfriend back in 2009, but not at present! To whatever you are thinking. The answer is yes. That is him. I always like to say that the best way to get me to do something is to tell me you don't think I can do it. I love challenges, and beating the odds, and I want to build an amazing company here in Nigeria that will inspire other people, too. What challenges do you face at TJ? What does it mean to be unique in this day and age? Everyone is unique - there's no one on the planet, even if you have an identical twin, who has exactly the same preferences and personality as you. Statistically, most personality and physical traits fall within a bell curve, and people may have some traits that lie within the "normal" ranges and others that don't. When the vast majority of a person's traits fall outside of those "bell curves" then you start to get really quirky people - the outliers. And there have been outliers for as long as there have been humans! It's just that how we draw the lines around normal may have changed. As I said before, I'm a huge nerd, so I loved almost all my subjects in school! But in particular, in high school I loved English, math, and physics. What are your favorite books, movies and what kind of music do you like? I prefer fiction to nonfiction because I like books to transport me to another world. Some of my favorite books include The Fellowship of the Ring trilogy by JRR Tolkein, the Harry Potter books by J.K. Rowling, Love in the Time of Cholera (though I didn't like it when I first read it - I think I was too young) by Gabriel Garcia Marquez, Homage to Catalonia by George Orwell, Love and Hydrogen (a collection of short stories) by Jim Shepard, and The Elephant Vanishes (a collection of short stories) by Haruki Murakami. Everyone makes fun of me for saying it, but I think my favorite movie is Clueless - it's a timeless classic in my opinion! And I grew up on the Beatles so I love all of their music, but I also enjoy classical music (Rachmaninoff, Mahler, Sibelius, Mozart, Bach, etc. ), Nigerian pop (Ice Prince, 9ice, DBanj, and of course Flavour! ), and the genre that used to be called alternative (stuff like The Killers, Feist, Animal Collective, etc.). Are you married, and how did you meet your spouse? Have you ever thought of quitting your tomato paste business? Of course - I think everyone has hard days and wants to pack it in, and sometimes when I hear about the money my classmates are earning back in the US, I feel jealous. But those days are few and far between, and the same friends whose salaries I envy have told me that they're proud of and envious of me for trying to do something I believe in. I'm really lucky to have a strong support network of people who want Tomato Jos to succeed, and believe in me. What motivated you to venture into tomato paste business? There were a few things that started to add up. First of all, when you drive around northern Nigeria at certain times of year, you can't help but notice the tomatoes lying by the side of the road. When Salami, the driver at my former company and my first friend in Nigeria, told me that these were tomatoes the farmers couldn't sell, I thought it was crazy. So many tomatoes! And then I learned more from a friend I made named Pwasy, whose parents were professors at ABU and who had done his NYSC in one of these tomato farming communities in southern Kano. He took me to visit his village and I spoke with some local officials there, and I saw the opportunity. I was also fortunate to make friends with two Nigerian re-pats, Sim and Nanfa, who had moved back to Nigeria to pursue entrepreneurial paths, and they opened up my eyes to the opportunities all over the country. So I started adding everything together, slowly. And when my friend Pwasy died in a car accident, I kind of felt like this would be his legacy. He always believed that anything was possible, and we used to talk about how in 2050, we'd meet up for a picnic on the moon and look down at Earth to see how far we've come. If I could go WAY back in time to the mythical past, I'd like to meet Arjuna, the main character of the Bhagavad Gita. Otherwise, I'd settle for Cleopatra. She was an original #bosslady. Can you please tell me who in your life has influenced you the most? How did they do it? My parents have influenced me the most. When I was a child, they prioritized my education and made sure I thrived academically, gave me opportunities to be exposed to new things, made me feel loved and special, and instilled in me the values that carry me through life today: that we are all one, that every religion leads to enlightenment, that every race and ethnic group is equal before God, and that everyone deserves a chance. We don’t have pictures of Mira’s childhood but this is how we imagine it all began. What is the best decision you ever made in your life? Joining my school's rowing team in high school. Being an athlete taught me about time management, teamwork and leadership, conflict resolution, how to work hard and compete respectfully, how important it is to follow through on your commitments... everything. I guess thinking back to the previous question, my coaches were also pretty influential in my life. They taught me that you have to own your actions and accept responsibility for both success and failure. And that you have to get back up again when you fail. 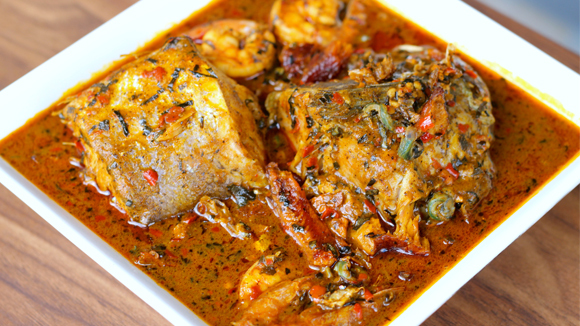 What is your favorite Nigerian dish? Will you replace the farmers once you relocate to Kaduna? No! We will always have a satellite operation in Panda, as long as the farmers there still want to work with us. Why is the name of the company, Tomato Jos yet located in Nasarawa? It's confusing, I know... I came up with Tomato Jos because it was catchy and it reminded me of the Flavour song Oyi, and I thought it perfectly encapsulated the brand that I want Tomato Jos to stand for. It's fun, and it's unmistakably Nigerian, and it has a ring of quality to it (since many people know Jos to sell high quality tomatoes). I had initially intended to base the company in Jos, but circumstances led us to set up shop in Nasarawa instead. When do you intend to settle? Not yet, but I really want to. What can cause you to change your goals? If the health of myself or my family changed, then I would have to re-evaluate. It's hard to be so far away. I really don't know - hopefully not terrible! I would like to believe that I'm pretty flexible and as long as my people are getting their work done, I don't care too much about how they do it or what hours they work. My first boss always told me that her job was to remove the roadblocks so that her team could get their work done, to protect them from politics or other distractions, and to showcase their successes rather than claiming them as her own. Sometimes I think I'm too hands off, and sometimes I think I micro-manage too much, so... I'm still figuring it out, I think. How has your leader style evolved since business school? I question myself a lot more now. Are there some teachings you received in grad school that you had to abandon once you started your business? What were they? Haha, the most obvious one is the DCF - the discounted cash flow method of valuing a company. I took a lot of finance classes because it was an area where I felt I needed to develop more skills, and we always did DCFs, but as I have discovered, in the real world NO ONE uses that method to value a company. Before you started TJ did you get advice from anyone or did you just plunge into it all on your own? If you did get advice, what was the advice? I got a LOT of advice! I sought advice from Harvard professors, people in the tomato farming and processing industry in California, classmates of mine who were starting or had started companies, my dad, my brother, HBS alumni who work in agriculture in Nigeria and Ghana, anyone who would talk to me who works in anything related to agriculture and Africa, friends of mine in Nigeria, former bosses.... I was probably really annoying because I asked so many questions to so many people. Hmm... my family would say I'm caring and sincere and kind, but maybe a little bit spoiled and certainly someone who likes to have the last word. My friends would say I'm loyal, and fun (though I can get pretty philosophical and deep), and extremely energetic and often ridiculous. What are some misconceptions of you? What is one weakness you have and how are you working to improve it? I'm terrible with emails. I want to get to "zero inbox" but I have never been able to do it. This is related to a larger weakness, which is that sometimes I feel paralyzed and unsure of how to make the high stakes decisions or respond to the important conversations. I'm working on it in a few ways. First, I'm trying to name the feeling when paralysis hits, and learn how to address it in a way that feels safe for me but also allows me to be timely. Second, I'm trying to build more structure into my days and week. How can someone get promoted quickly? 1. Remember what you're supposed to do, and do it thoroughly, to the best of your abilities. Ask for help when you get stuck, and take ownership over the work and projects that you're doing. 3. Groom someone to replace you. The best way to show your boss that you're ready for the next challenge is to build up the people around you so that the work can still get done when you move on to a larger role. What skills have you developed since the start of TJ? I've been trying to work on my patience, and I think I've developed some skills around social media and online interaction with fans and followers of the brand. Super Sad True Love Story by Gary Shteyngart, The Things They Carried by Tim O'Brien, and The God of Small Things by Arundhati Roy. I'm a little sister! In small groups where I feel comfortable, I like to be the center of attention and will do almost anything to provoke a reaction out of those around me (whether it's laughter or affirmation or annoyance). In larger groups, I'm more reserved and I like to sit back and take the pulse of my surroundings before interacting. I've struggled (probably still struggle) with depression and anxiety. Do you consider yourself different? Yeah, I think I'm pretty different. Hopefully in a good way! Do you ever feel intimidated? How do you deal with it? I feel intimidated all the time. I size myself up next to other people constantly, and always look at the ways in which their abilities or happiness or life seems to exceed mine. And a lot of the time, what I'm trying to do seems a lot bigger than what I know how to do or what I have experience with. I deal with it by naming it - by catching myself when I start to feel unqualified or less successful, and reminding myself that I'm the one telling myself that narrative. And then I try to tell myself a different narrative, one in which that person is just another person, or that milestone is just another step on a long journey. Re-framing actually helps a lot. When have you turned a bad team situation into a good one? Umm... pass! In all seriousness though, the biggest thing I've realized after starting a company is just how much team structure and team dynamics matter. In that regard, one of the most important lessons I've learned comes from my time as a coxswain (the person who steers the boat in a rowing team). We always talked about how you should try to make the boat fast, rather than trying to make the fast boat. The idea behind this is that you can either look at another team (or another boat) and see them performing well together and say darn, I wish I was in that group instead of this one, or you can focus on where you ARE, and figure out how to tap into the best qualities of everyone you're actually with, and take it from there. Projecting confidence and positivity and a "we can do this" attitude sounds kind of cheesy, but it actually helps a lot. What classes did you enjoy the most in grad school? I enjoyed really enjoyed a finance class called "Creating Value through Corporate Restructuring" (a class on Chapter 11 bankruptcy), a quasi-economics class called "Business, Government, and the International Economy," marketing, and real asset finance. Both for the content, and for the professors. I admire Warren Buffett. He's built an incredible company, seems to have stayed relatively humble (though hey - I've never met the guy), and has put in place a strong succession plan so that Berkshire Hathaway will continue to run successfully in the years and decades to come. How do you spot opportunities? Look for problems. Every problem is an opportunity. And, as Mr. Buffett has said, be fearful when others are greedy, and greedy when others are fearful. Is your legacy TJ? Is that how you want to be remembered? I definitely want to be remembered for TJ, but I also hope it's just the first step for me. We're going through crazy instability right now, with growth and financing and trying to get all the different parts of the business to work properly and in conjunction with each other... but at some point in the (hopefully!) not too distant future, the business will stabilize and we'll know what we're doing and it will be easy - at least, easier - to run the company. And at that point, I hope to be able to devote time to my next venture. Whether that will be on the operations or investing side is still TBD. What professional qualities do you expect of your employees? 1. We care about the company. 2. We care about each other. 3. We are problem solvers. I expect my employees to be honest, to show up to work ready to give their best effort, and to uphold the company values. Direct communication and conflict resolution are areas we've talked a lot about lately, too. What has been you biggest challenge in life? My major challenges have had to do with my own mental health, and the health of a few family members and close friends. What challenges in life have you never been able to get past? I feel like I haven't belonged, and I don't belong, and I will never belong, to any major group. I'm half Indian, but I come from a minority religion that doesn't share many cultural similarities with most other Indian groups, and anyway I look white, and I was raised in America without much focus on my "roots." I'm half Finnish, but I made a decision when I was four to never speak Finnish again (a decision that I regretted wholeheartedly about 10 years later), and so I lost touch with my Finnish cousins and family, and feel almost fraudulent when I use my Finnish passport. I was a daydreaming, violin-playing bookworm with tinted glasses in elemetary school. I was less wealthy than my peers in middle and high school. I was less socially aware and less liberal and less activist-y than my peers in university. I was the only person in my analyst class at BlackRock (an asset management company) without a background in finance - I didn't even understand the difference between a stock and a bond when I joined. I came to Harvard Business School from a non-profit. And now I'm that crazy white girl living in Nasarawa State. I've used those moments of being an outsider to my advantage, because I have convinced schools and employers (and I also truly do believe) that a diversity of opinion and skill set and background makes for a richer work environment and results in better outcomes. But I still feel alone. Can you speak of a time you helped someone succeed? During the first semester of business school, I made friends with someone in my section who was even more shy than I was in the classroom, and who was afraid to speak during lectures. Class participation makes up 50% of your grade at HBS, so comments are important - so important that in the first year, there are scribes who write down all of the student's comments for the professors to review afterward! I tried to be there to listen, to empathize, and to boost my friend's confidence, and though I'm not sure how much that really helped, over the course of that first year, my friend ended up enjoying the HBS experience and getting a top job upon graduation. How are you able to deal with difficult issues so calmly? I'm flattered if you think I do! I still think I can do better. Something that has helped me immensely is that I've started meditating - I try to do 10-15 minutes every morning. I'm not super consistent yet, but taking that time to focus my mind and let go of my thoughts helps me to keep things in perspective, even later in the day. When things get crazy, I try to a deep breath, focus on the physical sensations (my feet on the ground, my lungs expanding and contracting as I breath, etc. ), and that puts me in a frame of mind to reflect and ask questions rather than being quick to shout or react strongly. Will you ever consider appearing on Shark Tank? I'd consider it! I have friends who went on Shark Tank and raised money from Mr. Wonderful. But it takes a LOT of time and effort to do something like that well - you can't just wing it. If I were to do it, I'd want to do it right, and presently I have too many operational things going on to devote the energy I'd need to pull off a successful appearance. "You are dead to me.."
Probably I'll be in Nigeria full time running Tomato Jos. I hope by that point the company will be much larger and profitable, and once it gets to that level of scale and stability, I may start to look for someone who can come in as the CEO to free me for my next venture. But or course, anything can happen. For myself personally, I'd like to start a family within the next 5 or so years. What do you love most about working for Tomato Jos? I love creating something where there wasn’t anything before, and seeing it work. Whether that something is a vehicle maintenance chuckles, or an irrigation system, or a farmer training program, or a sachet of tomato paste the process of making is what I love. Other than family, who inspires you? Ha! You guys know me too well, I always talk about my family. But really, that’s because I don’t have too many celebrity inspirations. Maybe I should get some. I’m inspired by people who don’t give up on their dreams, even when they face setback and failure, who are determined and stubborn and committed. Gevvie Stone, a high school classmate of mine who recently won a silver medal in the Olympics is an inspiration to me, and so is Tom Brady (I know I’m going to get serious push back for that from the deflate gate haters, but whatever), and so is Paul Pierce. If you could change one thing about the living conditions in Panda what would it be? I hate living in a fishbowl. In Panda, I feel like a local celebrity, which is fun sometimes. But sometimes I wish I could just be anonymous. It can be lonely out there, miles away from friends and family, with very bad communication, and yet I’m never actually able to be by myself. How many cats do you wish you have? How has working in Nigeria changed you? I think I have a lot more perspective now - though that could also have come with age. I see the consumerism and wastefulness of the US and it turns me off. Not that I don’t like stuff, but we just don’t need quite that much of it. What company would you like TJ to be similar to in terms of ethics, atmosphere, etc? Wells Fargo! I’m kidding, that’s totally a joke. I haven’t worked at too many companies, so I don’t really know what they’re actually like on the inside and whether their “company brand” actually holds true. Like Starbucks, for example: people rave about Starbucks all the time because of the health benefits and employee stock options, but everyone I’ve ever know who’s actually worked there has hated it. It’s going to sound boring because nobody knows this company, but my mentor and friend Stuart Woolf runs two companies, Woolf Farms, and Los Gatos Tomato Company, and everyone there seems to be really smart and really happy to be there, and seems to want to do their best while having fun. That’s the kind of place I want to run. There’s this book that someone gave me once called “The No A**hole Rule” which basically suggests that the number one screen you should apply when hiring people to your company or team is to make sure you’re not bringing a**holes into the culture. And I think that pretty much sums up how I feel about that. How many African countries have you traveled to and where? I spent two years traveling all over Africa for work. Besides Nigeria, I've been to Liberia, Ghana, Senegal, Morocco, Cameroon, South Africa, Mozambique, Malawi, Zambia, Tanzania, Kenya, and Ethiopia. How many states have you traveled to in Nigeria? South East: None! I'm so embarrassed about this. What is your favorite tomato based product? Stew! If it's made well, that is. Also, I love pizza and having the right sauce can make or break a pizza. What has life taught you so far, that business school did not? Life has taught me to be kind, whenever you can. I’m not always good at following this, but I try. I love gold - I think it’s beautiful. Besides that, a warm red with orange undertones. Can you share with us, your elevator pitch? Tomato Jos is a for-profit social enterprise based in Nigeria that produces high quality tomato paste for the West African market, sourcing raw material from smallholder farmers. Through our integrated business model, we add value at both ends of the spectrum. Value to farmers: we give farmers the tools and the incentive to grow tomatoes at much higher yields, sell a greater proportion of their harvest, and access consistent, fair prices. Value to consumers: we provide consumers with access to high quality, proudly Nigerian tomato paste and value-add products at prices that match lower-quality imports. No - when I was five, I thought I was going to be either a veterinarian or a concert violinist. Do you consider yourself a farmer? I like to tell people I’m a farmer for the shock value, but if you look at my hands, they’re not tough and calloused like a real farmer’s hand should be. I guess I’m a farm owner, and a supporter of farmers. Yes - I have four. Are you planning to be a Nigerian citizen? I already hold but US and Finnish citizenship - if I could add Nigeria without having to drop one of the others, why not? Do you sometimes feel alone in Panda? What do you like to do for fun in Panda? I like to cook, and go for walks with my dog, and I love hosting friends who come out to visit me. After two years are you now fluent in Nigerian Pidgin or Hausa? I dey try, but sadly no - not fluent in either! I’m slowly getting a little better at Hausa, though I’d really like to know enough to know what people say when they think I can’t understand maybe in 2017 I’ll start taking lessons! Even now, as a CEO, do you always know what you are doing? I don’t think anyone on this planet always knows what they’re doing - I certainly don’t. I hope that doesn’t make my team lose confidence in me! But seriously, sometimes you have to act, even if you don’t know for sure that you are making the right decision That’s a part of life, I think. Do you believe in failure? What is your definition of failing? I do believe in failure, and I guess if I had to make up a definition, I’d say it’s trying your hardest and still not getting what you wanted. I’m also afraid of failure, even though I know it can be valuable. And I also think that in the US at least, failure is celebrated in the abstract, but demonized when it becomes real. When you’re successful, everyone wants to come along for the ride, but when you’re failing, folks abandon ship. And I think those darkest, hardest moments, are also the best teachers, if you can look at them as lessons learned rather than a knock on you as a person. Is there ever a right or wrong time to do anything? Wow, that’s philosophical. I think my short answer to this is… yes. Apart from TJ being a juggernaut of success, what is your greatest wish? I wish that humans would evolve to become more tolerant of each other, and would do more to protect the planet. I really don’t think our species has more than one or two centuries to go before we wipe ourselves out, and that makes me kind of sad. Where is Tomato Jos heading in the next six months? We plan to finally launch our commercial brand of tomato paste and fulfill the orders for our Kickstarter backers who have patiently been waiting for this moment since November 2014! And we also plan to move to a permanent location that will enable our company to grow its farming and smallholder operations to the next level of scale. It’s going to be an exciting few months! How cordial is your relationship with your employees? You should ask my employees that question! I think I’m pretty cordial with my employees, and I try to make myself approachable. But of course, I don’t know if I’ve really succeeded at that. Did you have any future plans to establish any foundation? Let’s get profitable first! But yet, I’d like to do something to give back to the community, though whether that should be through my own foundation or by contributing to other worthy causes is still up in the air. I have a ton of nicknames - everyone in my family calls me something different. The most common nickname I have is probably Mimi - but please guys, don’t call me that. It’s a friends and family thing only! How do you know Bruce and how did you get him to lease you land? I was introduced to Bruce through a contact in Abuja in the summer of 2014, when I was here looking for a place to start operations for Tomato Jos. He invited my co-founder and me to visit him in Panda, and spoke very openly and candidly about his experience in Nigeria and the ups and downs that he faced. Later in the year, when we asked him if we could start operations on his farm, he very generously agreed to help us as much as he could, and that was that. I feel incredibly grateful to Bruce, his family, and Novum Agric for all that they’ve done to help us get on our feet, and I hope that in the future I’ll be able to help other young entrepreneurs in a similar fashion. For how long do you plan on staying in Nigeria? I think Nigeria will always be a part of my life. I’ve developed a pretty strong network here, and for whatever reason I really care about the country and want things here to improve. I don’t know how long I’ll live here full time though, but at least until I get Tomato Jos to be profitable and successful.